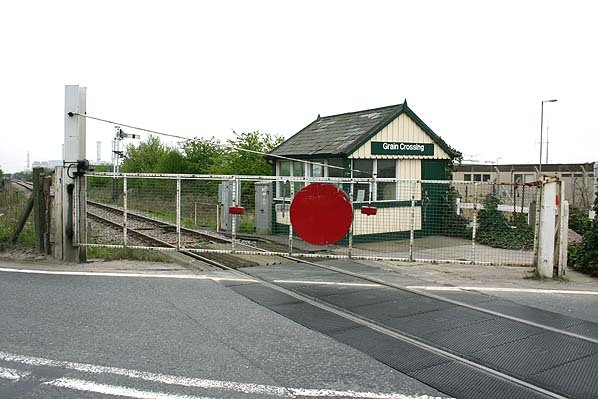 Present state: Demolished - nothing remains of the halt but the crossing gates, signal box and semaphore signal are all still in use. Notes: Grain Crossing Halt was closed during the expansion of the oil terminal in 1951. 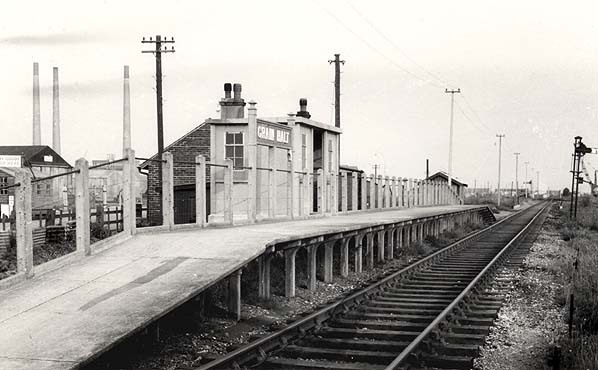 A new station (Grain) was built 700 yards to the south east to replace it. A temporary bus service was introduced until the new station was ready. 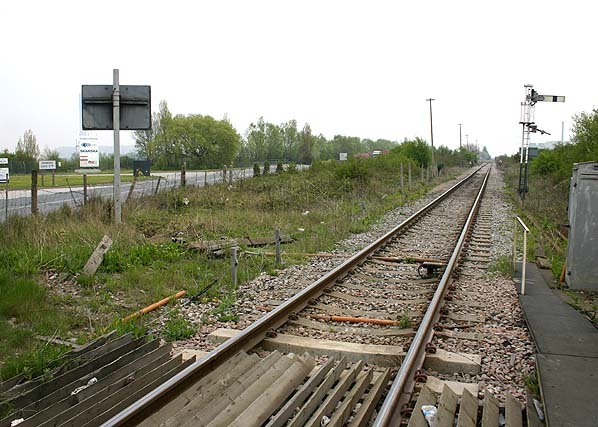 Stoke Junction Halt, Grain, Port Victoria & Allhallows-on-Sea.